Bryce and Poser 3, a dangerous combination. 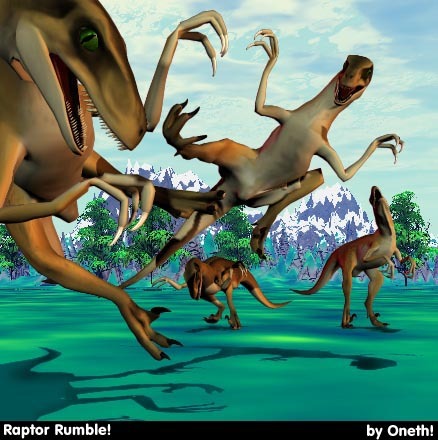 These are raptors in various Poser poses, except the one in the background on the right. I posed that one myself. Um, with some artistic advice... And the background is Bryce, obviously!